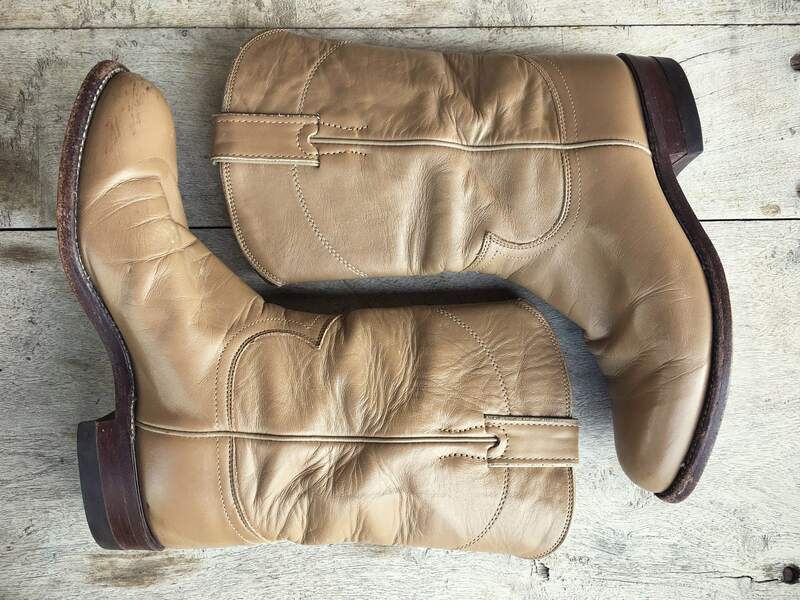 The original round-toed Justin Roper boots, Women's size 6 C, super supple and rugged in a beautiful dusty brown beige color, warmer than taupe yet one of those colors that will go with everything. The C is for Wide, but these aren't so much wide as they are big for their marked size, much closer to a 6.5 to 7, and even my 7.5 foot fits in them although not with room for socks or comfort for walking. 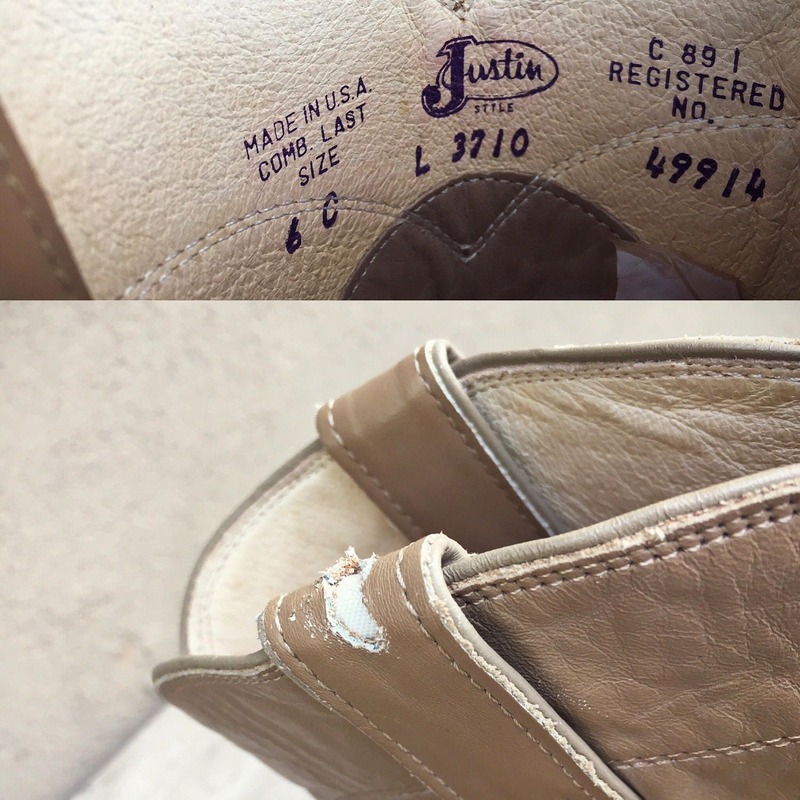 These have been well worn, and do note the big chunk of leather missing from the pull up strap, as shown close up in Photo 4. 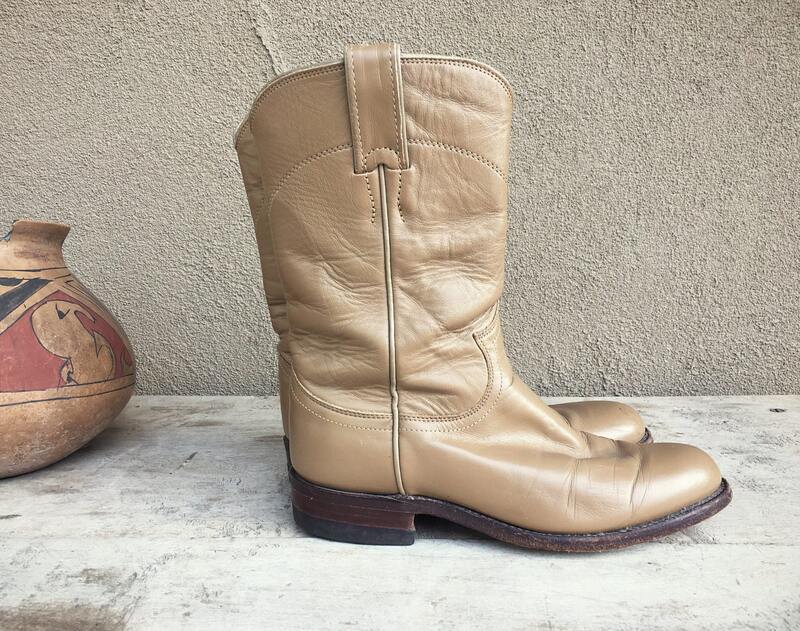 If you're looking for a brand new boot, these are not for you. But if you plan to spend your summer having fun at music festivals and just looking authentic boho, then these Made in USA distressed round-toe Western boots got your name written all over them! 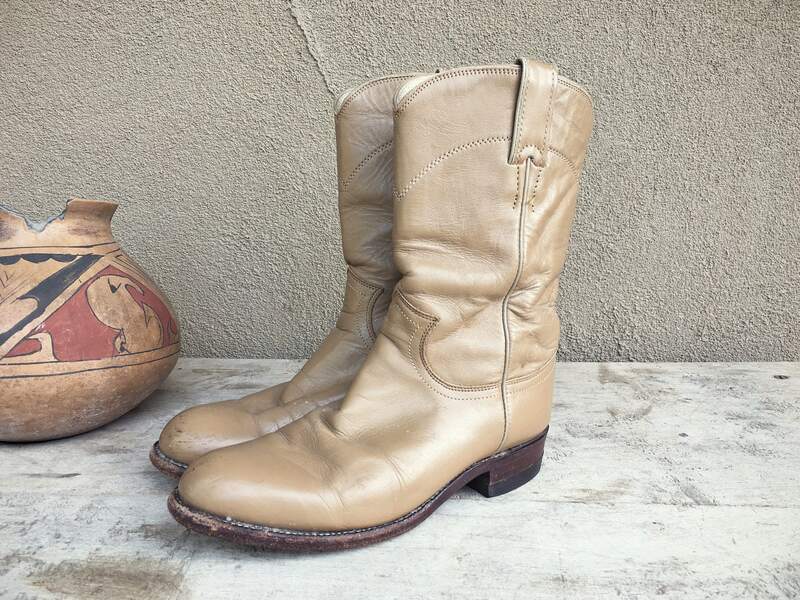 Justin Ropers are a classic look, the love child (in my mind) of the Western roping boot and a motorcycle boot. And in a classic, goes-with-everything color! 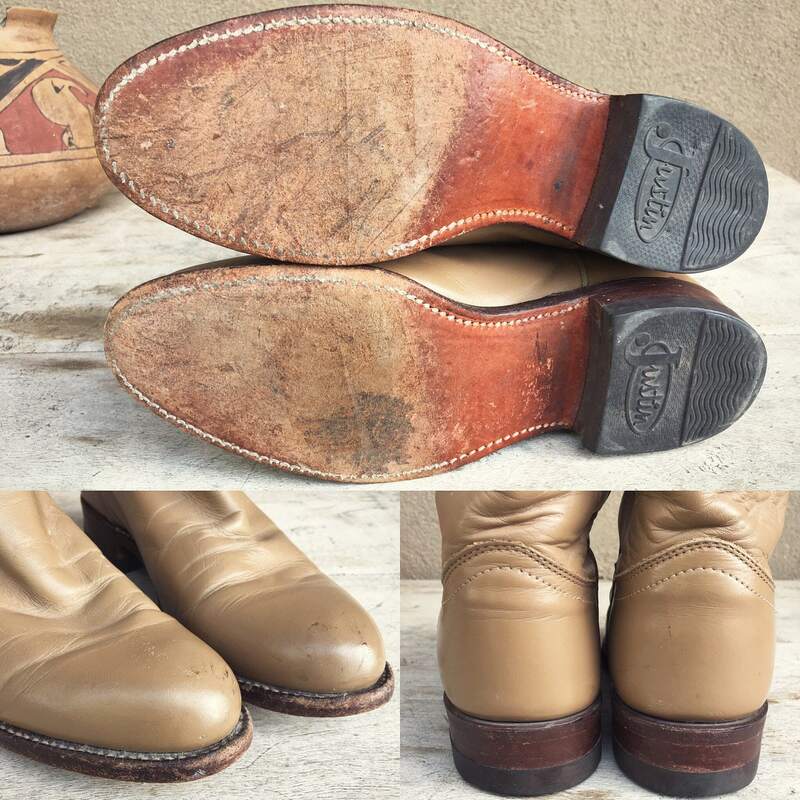 Shaft, down back from top of the heel (not ground) to the top of the leather upper: about 7-3/4"
Side seam, from the top of the heel (not ground) to the top of the leather strap: about 9-1/2"